DEL will continue to set world standards for all kind of Gloves supply and product innovation. 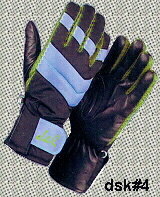 dsk#1All leather glove (Cow hide), Thinsulate+foam+ PC cloth lining inside, kevlar paded palm also avalable With hipora lining for water proofing. dsk#2Cadora cloth (water proof), Thinsulate+foam+ PC cloth lining inside, kevlar paded palm. 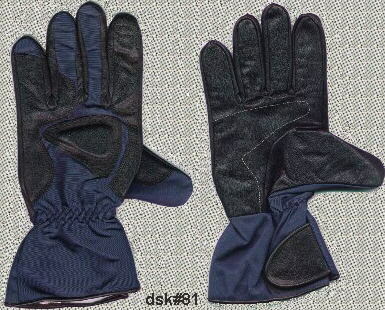 dsk#6Cadora cloth (water proof), Thinsulate+foam+ PC cloth lining inside, kevlar paded palm. dsk#8Leather (Cow hide)/Cadora cloth,Thinsulate+foam+ PC cloth lining inside, kevlar paded palm. dsk#3Leather (Cow hide)/Cadora cloth,Thinsulate+foam+ PC cloth lining inside, kevlar paded palm. dsk#4Leather (Cow hide)/Cadora cloth,Thinsulate+foam+ PC cloth lining inside, kevlar paded palm. Packing: Zip lock polythene bag each pair.